Balance transfer deals have now flooded the credit card industry. With so many offers available, what do you need to know before making a deal? Debt consolidation by way of a credit card balance transfer is a popular option for many consumers. A balance transfer credit card can help you pay off a credit card debt, so long as you choose the right balance transfer for you. The interest rate on one of these balance transfer cards tend to have much lower interest rate (also known as promotional or introductory rates) for a limited period of time. Tips for making a balance transfer work for you include the following. The introductory interest rate for a balance transfer offer can range from several per cent all the way down to zero. For someone with significant credit card debt, taking advantage of an introductory rate offer can save them interest in the short term. 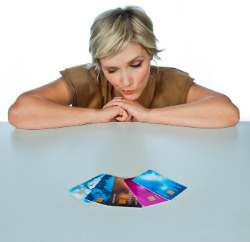 Even having a balance transfer card is usually a sign that you have too much debt. 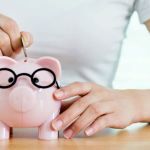 Transferring it to a lower interest account might save you a little bit in the short-term, but unless you change your habits, you’ll end up back in the same spot again in no time. Modifying your spending habits can eliminate the need for a balance transfer entirely. Meeting with a credit counsellor can help you create a budget and cut back on your spending. Firstly, interest will be charged on any purchases you make using the balance transfer credit card applies from the day you make the purchase, with no interest-free period. And the interest rate that applies is the purchase rate – much higher than an introductory rate! Secondly, the primary purpose of a balance transfer card is to lower and eliminate debt, and putting new purchases on the card will merely add to your debts. Don’t shoot yourself in the foot. 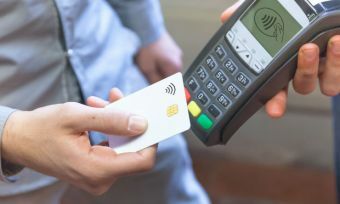 While there are some cards out there that allow you to transfer a balance for free, there are many that will charge you a balance transfer fee, which is usually about 1% – 3% of the amount you transfer. That can be a lot of money! Whether or not your card charges a balance transfer fee, you can find the relevant information in the product disclosure statement (PDS). We strongly recommend you read the PDS and key fact sheet before choosing any particular card. This might seem a little drastic, and is mainly to be used as a last resort. You don’t actually need the card unless you plan on making purchases with it – which, if you’re in debt, is not a good idea. You can also cut up your new balance transfer card, since tip 2 above says you shouldn’t make any new purchases with it anyway. This card should be used to strictly pay off debts. For the rest, there’s always debit. The rules for different cards can vary, but the interest rates that come after this promotional rate – the revert rate – can be as high as 30%! This is much higher than the interest rates on most regular credit cards, so you need to make sure you fully repay your debt before the low interest period finishes. How much time will you have on average to repay your balance transfer? Well, 0% balance transfer deals range from 6 months up to 2 years. 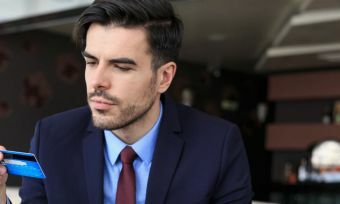 What’s more, if you make a repayment late on the balance transfer card – even a day late – the low interest rate will disappear and you’ll start paying the revert rate on the full balance of the card. You can avoid this trap by setting up an autopay function or reminder for a month or so before the introductory interest rate period will end. This one has also been mentioned, so it doesn’t need much explaining here – balance transfer cards are for eliminating debt, not adding to it! As we said before, the transfer fee will usually be about 1% – 3%. Depending on how much debt you have, you could end up paying more in fees than you would save, so be careful! Read the terms and conditions very carefully, and do your research on heaps of different balance transfer cards.